It takes something special to craft a tight tune. It’s perhaps the hardest trick in the book. It’s the sign of a special band that’s noted for it’s wild oceanic live performances, ones that billow like the roughest of seas, that they can strip it back and make a three minute song which retains that excitement yet is radio ready. Pale Rider are that band. 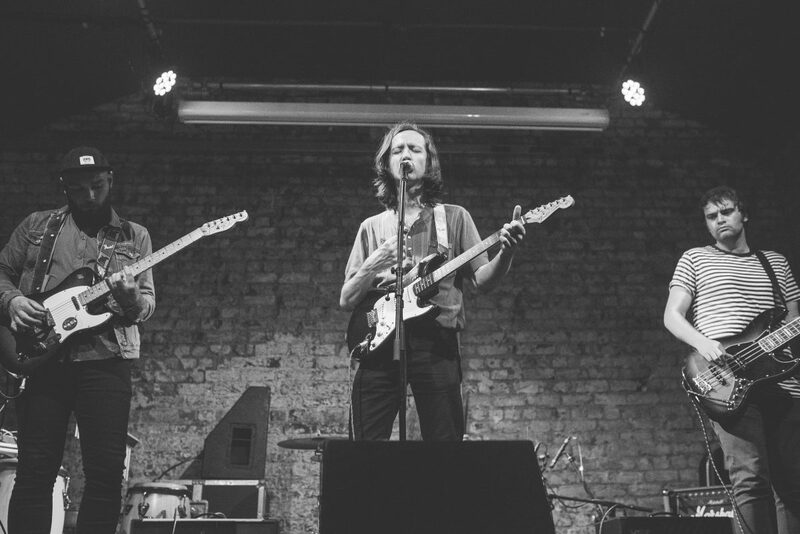 Still in their infancy – the Liverpool quartet have but four gigs to their name – yet when Parr Street Studios come calling you know they’ve pricked the interest of the city and its music fans. Recorded in one five-hour session (see video below) by producer Chris Taylor, their debut single I Run On Rain is a furious titan of rock & roll magik. Underpinned by Louis Dutton‘s rubbery fuzz-fuelled bass line the track bounces like a steely wrecking ball before detonating into a heavyweight lightning bolt of guitar pangs and Ben Russell‘s blistering vocal. This is just the beginning, though. There’s so much more to follow. But for now, Pale Rider have come hurtling out of the blocks. Time to keep up. Pale Rider‘s I Run On Rain is out October 20, 2017 – available on Spotify.